Wear and tear of all joints is to be expected in an active dog but it is hard to watch your devoted friend suffering from joint pain and a lack of mobility. Your vet may be able to offer pain relief and even surgery and you can help by giving your dog some nutritional joint supplements. These supplements usually contain a range of active ingredients that help to repair damaged cartilage and which lubricate joints. They may also help to reduce inflammation and control pain. Eventually, your dog will be much more comfortable and mobile and you can start having fun again! There are plenty of supplements to choose from and your vet can advise on what would be best for your dog. Here’s our pick of the best dog joint supplements for you to choose from. A tried and trusted supplement to promote joint health in all dogs over 60 pounds and formulated from over a decade of medical research. The tablets are tasty and chewable and work by supporting cartilage matrix production and inhibiting cartilage breakdown which makes joints more comfortable. The tablets contain avocado and soybean unsaponifiables which are fortified with green tea and to which are added supplements which act on the joints. The active ingredients are: glucosamine hydrochloride; methylsulfonylmethane and sodium (low molecular weight) chondroitin sulfate. The recommended dose is two tablets a day for the first four to six weeks which can be reduced to one a day thereafter although always check with your vet. Very tasty and chewable joint supplements for dogs that can be taken by all breeds, ages, and sizes. They are targeted at dogs that are suffering from simple aging of the joints, hip dysplasia and arthritis. They work by reducing inflammation, repairing damaged cartilage and lubricating joints thereby easing pain and discomfort and increasing mobility and energy levels. The supplement contains medicinal plants (Yucca Schidigera) and fish oils (which provide omega 3 and 6) as well as added active ingredients that work directly on joints and connective tissue. These include glucosamine, chondroitin, methylsulfonylmethane, hyaluronic acid and coenzyme Q10. They are also packed with vitamins and minerals to promote general health. The chews taste great thanks to the chicken powder so your dog will love them. This is a clinically proven formulation that has been shown to increase the strength of the hind legs by up to 41 per cent in just four weeks. It can be taken by dogs of all breeds and ages but will be especially useful for working dogs and those that are very active or senior dogs that are displaying symptoms of joint problems. The formulation makes sure that the joints are lubricated and cushioned by providing the elements that the cartilage, synovial fluid and the connective tissues need. One special ingredient is Perna canaliculus which is the green-lipped mussel from the pure water off the coast of New Zealand. 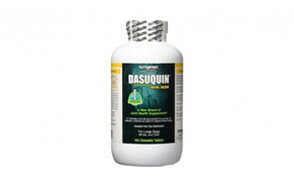 It is a natural source of omega fatty acids, glucosamine and amino acids. The active ingredients in these tasty chews include glucosamine (from shrimp and crab), methylsulfonylmethane, N,N-Dimethylglycine and selenium. This is an all-round multi-vitamin for dogs of all ages and breeds that has a tasty chicken flavor that dogs love. It contains over 35 vitamins and minerals including Vitamin A, D3, E and C and manganese. These dog vitamins are formulated to promote skin and coat health (cod liver oil and biotin), digestive health (probiotics and digestive enzymes), immune health (antioxidants) and heart health (folic acid and Kaneka Q10). Specifically designed for joint health, there is glucosamine HCL, chondroitin sulfate and distilled methylsulfonylmethane. These are joint supplements for dogs of all shapes and sizes provided in the form of a chewy treat that your dog will love and that will do them good. It can help both young active dogs and senior dogs with mobility problems. Each chew contains exactly the right daily dose of glucosamine hydrochloride, sodium chondroitin sulfate and methylsulfonylmethane. Added to this, you’ll get omega 3 fatty acids to keep their coat and skin looking shiny and healthy. A joint care nutritional supplement for dogs that is sprinkled over their regular food. It contains a blend of four active ingredients that will heal, strengthen and nourish joints (connective tissue and cartilage) and therefore improve mobility and reduce the signs of aging. The glucosamine helps connective tissue to remain strong and hydrated which promotes joint mobility. The methylsulfonylmethane maintains the connective tissue and makes joints more comfortable. There is also Type II chicken collagen which is essential for building articular cartilage and ascorbic acid which increases the body’s own production of collagen, chondroitin sulfates and hyaluronic acid. A highly ethical and natural product that is made in the US, these supplements contain only natural ingredients and no artificial flavors. The four active ingredients work together to ease pain and inflammation and so make the joints easier to move. In no time your pooch will be more mobile. The active ingredients in these dog supplements are glucosamine sulfate which is of bovine origin, organic turmeric, chondroitin sulfate (derived from crab shell and shrimp) and methylsulfonylmethane. Organic turmeric is a unique product in dog health supplements but is a powerful anti-inflammatory. A soft chew that your dog can take every day that will keep their joints mobile and pain-free and that provide all the antioxidants they need. This supplement will help senior dogs to maintain an active lifestyle that will keep them fit and healthy. The product is endorsed by the National Animal Supplement Council (NASC) and meets their standards. The supplement contains a blend of ingredients designed to support all the systems of the body that keep your senior dog moving. To lubricate the joint there is glucosamine, Perna canaliculus (Green-Lipped Mussel), Boswellia serrata (a herb derived from the Boswellia tree) and manganese sulfate. To help with muscle tone there is creatine monohydrate and to prevent damage caused by free radicals there are methylsulfonylmethane, Vitamin C and E, turmeric, grape seed extract, alpha lipoic acid and selenium. If you are looking for a dog nutrition supplement that contains no fish, crab, shrimp or shark and that has no avocado content, this is the product for you. Because it contains no wheat, corn, grains or soy it is safe for most dogs with food allergies. It is made in the US from organic ingredients and is completely safe. It also tastes great thanks to the bacon and liver flavor so your dog will love them. The active ingredients are turmeric curcumin, microcrystalline cellulose, dicalcium phosphate, magnesium stearate and silicon dioxide. These have been proven to relieve joint pain by targeting arthritis of the hips and provide antioxidants to reduce inflammation. A liquid supplement that is easier for the body to absorb than tablets or powders, this contains everything that your dog needs to maintain joint health. It contains natural painkillers and anti-inflammatories to keep your dog mobile but also promotes healing. The active ingredients repair and support the joints and cartilage and they include glucosamine (derived from shellfish), chondroitin sulfate (derived from beef or pork), manganese chelate, hyaluronic acid and opti-mehylsulfanylmethane which is more powerful than the regular version. There are several ingredients that can be included in dog joint supplements. Here are the main ones that you should look out for. Glucosamine is sometimes referred to as chitosamine and it is a naturally occurring amino sugar. It is found in connective tissue of animals such as claws, tendons, skin and ligaments but the glucosamine that you find in supplements is mainly from shellfish. Dogs don’t get it from their food so supplements are their only source. It plays a vital role in keeping cartilage healthy and may be able to slow down the natural wear and tear of cartilage in joints. Chondroitin also naturally occurs in animal cartilage. It is a type of molecule called glycosaminoglycans which attract water so they help to keep the joints lubricated. The chondroitin in supplements is derived from cattle trachea although it can be obtained from algae. Methylsulfonylmethane may appear on ingredients lists as MSM and is good at reducing inflammation around joints in arthritis. It helps to provide the building blocks that cartilage needs to repair itself and it protects it from further damage by free radicals. Joints need to be lubricated so that they can move freely and without pain. The fluid that lubricates joints is called synovial fluid. Hyaluronic acid is needed for the body to produce synovial fluid. It also helps with tissue repair and elasticity of joints. 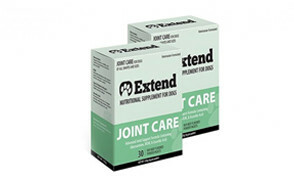 This supplement helps to reduce inflammation in joints so that they can move freely and without pain. It works in conjunction with vitamins C and E to perform this function. This is used as a spice in cooking but is also a powerful anti-inflammatory. It can help to decrease swelling and discomfort and increase the mobility of arthritic joints. Why Give a Dog Joint Supplements? You may be wondering whether you should be giving your pooch joint supplements at all. The best person to advise on this is your vet and you should always check with them before starting any supplementation. Some dogs cannot tolerate the ingredients in the supplements or may be allergic to them. They may be taking some medication that could react with them or they may have an underlying medical condition that would make the supplements unsafe. Generally, there are two good reasons to give this type of supplement to your dog. The first reason is to help alleviate joint problems that your dog is already having. Perhaps your four-legged friend is noticeably limping or cries out when they walk? You may have noticed more subtle changes in behavior such as licking the joints, moving more slowly or spending more time in their kennel. This can indicate that osteoarthritis is setting in and that cartilage is degenerating at the joints. This can be due to underlying joint disease or simply from old age. The second reason is to prevent arthritis of the joints in the first place or at least to delay it. Your vet can advise you if your pooch falls into the category of dogs that are more likely to develop joint problems. Some working dogs may be at risk as may dogs that commonly get joint conditions such as hip dysplasia. German Shepherds and Rottweilers are two breeds that are often affected. Life is not much fun for a dog who can’t get around especially if they previously enjoyed an active lifestyle. The lack of exercise can lead to other health problems including obesity. Your dog cannot tell you that they are in pain but it is often clear from the way that they are behaving. No one wants to see their four-legged friend suffering so anything that cuts down the pain is a good idea. Your pooch holds a very special place in your family and when they cannot play and interact with you, it’s very upsetting. A supplement that maintains quality of life for your pet helps to preserve the family relationships. A dog that is in pain and cannot move is less likely to obey your commands and may start to show undesirable behavior. By removing the pain, you remove the barrier to promoting desirable behavior. How to Get the Most from Your Dog Joint Supplements? Before you consider giving your dog any sort of dietary supplement you must check with your vet that it is safe to do so. Your dog may be on medication or have a health condition or allergy that means that the supplements will not be safe for them to take. Then, the most important thing is to choose a dog joint supplement that you can trust from a reputable supplier that complies with all the recognized guidelines. You must give them regularly and as prescribed on the manufacturer’s instructions. Typically, this type of supplement is given once a day and you need to give them for at least a month before you can expect to see any difference. However, sometimes a higher dose is recommended for the first few weeks and then you can drop down to a maintenance dose. If you have trouble getting your pooch to take a chew, you may get on better with a liquid supplement. Some supplements have different doses for different sizes of dogs so make sure that you are giving the correct dose to get the most benefit out of the supplement. Once you have started your dog on these supplements they must stay on them for life. If you stop giving them the supplements the cartilage will begin to degenerate again. In addition to giving them dog joint supplements, there are plenty of other things that you can do to help your dog with their joint pain. Here are some of them. Go for regular check-ups with your vet to make sure that your dog is on the best treatment plan and has all the pain control they need. Your dog may be prescribed nonsteroidal anti-inflammatory drugs (NSAIDs) and disease-modifying osteoarthritis drugs (DMOADs). Watch your dog’s weight and reduce their calorie intake if necessary. Obese dogs load their joints with extra weight and this makes the symptoms worse. If your dog is not very mobile, they will need fewer calories. Take your dog out for controlled exercise but only for short periods and make sure it is on a soft surface. Cold, damp conditions make arthritis worse so keep your dog warm and dry and provide a warm compress if they seem to be in pain from a particular joint. Consider visiting an animal massage therapist or an animal acupuncturist who may be able to help with your dog’s flexibility and pain levels. In advanced arthritis, surgery may be an option but this is your vet’s decision. Make your home easy for your dog to navigate by installing ramps to help them get upstairs and into your car and put down carpet on slippery surfaces. A: Dog joint supplements have active ingredients that work in harmony with your dog’s body. They support the repair and maintenance of synovial fluid and cartilage so the joint can function normally. Therefore, the bones can move smoothly across each other and mobility is increased. Dog arthritis supplements also reduce inflammation and therefore bring pain levels down. A: The ingredients in dog joint supplements are generally very safe but some dogs can get side effects. Glucosamine and chondroitin can both cause stomach upsets and your dog may develop vomiting or diarrhea or constipation. You may be able to reduce the severity of the side effects by reducing the dose or giving the supplement with food. Some dogs get these symptoms when they are taking the high, initial dose but get better when the supplement is reduced to the maintenance dose after a few weeks. A more serious concern with glucosamine and chondroitin for dogs is the possibility of an allergic reaction which could be severe and even fatal. Glucosamine for dogs is commonly derived from shellfish and you may not be aware that your dog has a shellfish allergy. If the allergic reaction is mild, you may not even notice it but an anaphylactic reaction requires immediate veterinary attention. It is possible (but not very easy) to source glucosamine products that are made from corn or other plants. If you know that your dog is allergic to corn, wheat or soy, watch out for these on the ingredients list of the supplement. A: Joint problems in dogs are caused by the same thing as in humans. The structure of the joint becomes inflamed and causes arthritis which is the medical term for inflammation of the joints. It is caused by wear and tear. The surfaces of the bones in a joint are usually covered with a smooth layer of cartilage and lubricated with fluid. Arthritic joints have damage to the cartilage so the bone surfaces rub together and new bone forms which makes the joint even stiffer and causes more pain. It is quite normal for joints to become arthritic with age but some conditions, such as hip dysplasia, cause it to happen in younger dogs. A: It is never safe to give dogs any kind of medication that has been formulated for humans. Dogs and humans have very different metabolisms and substances that are harmless for us can be very toxic to dogs. Pet supplements can also be harmful to humans! Therefore, it is only safe to give your dog veterinary joint supplements that have been approved for use in canines. If you are in any doubt, always check with your vet. 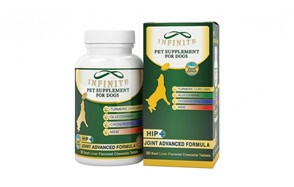 The top pick of the best dog joint supplements is a tried and trusted product that has been tested in medical research. It is in a chewable tablet form and will support cartilage matrix production and will inhibit cartilage breakdown. The formulation includes avocado and soybean unsaponifiables together with active ingredients which are glucosamine hydrochloride, methylsulfonylmethane and sodium (low molecular weight) chondroitin sulfate.